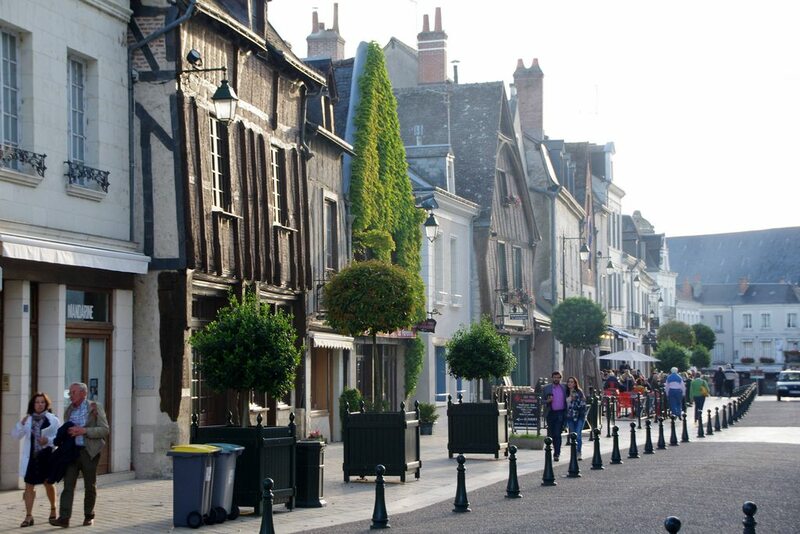 Amboise is a small town in central France through which the Loire River flows. We spent two nights at Chateau de Pray, just outside of Amboise, during the road-trip portion of our May 2015 trip to France. 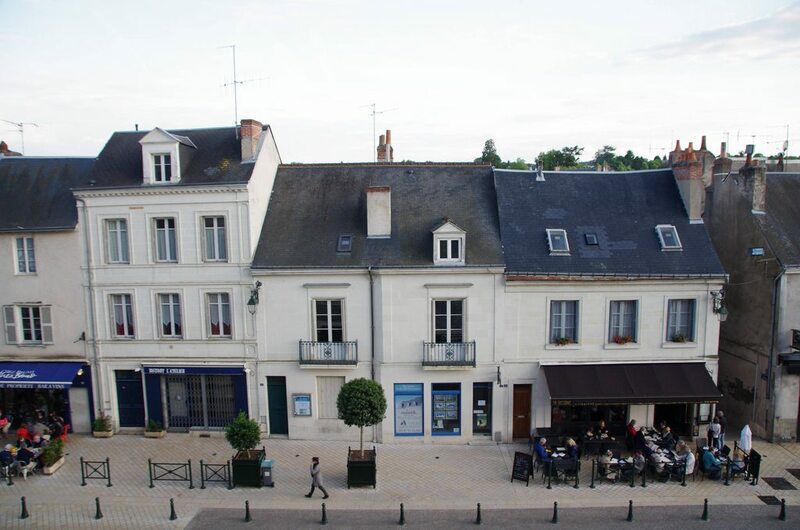 We chose to stay in Amboise because it was a centrally located neat the chateaus that we chose to see while visiting the Loire Valley (Chateau de Chenonceau, Chateau de Chambord, and Chateau de Chaumont). Amboise is home to both Chateau de Amboise and Château du Clos Lucé (once home to Leonardo da Vinci), though we did not have time to visit either of them. If we had had one more day in Amboise, these two would have been on the top of our to-do list. 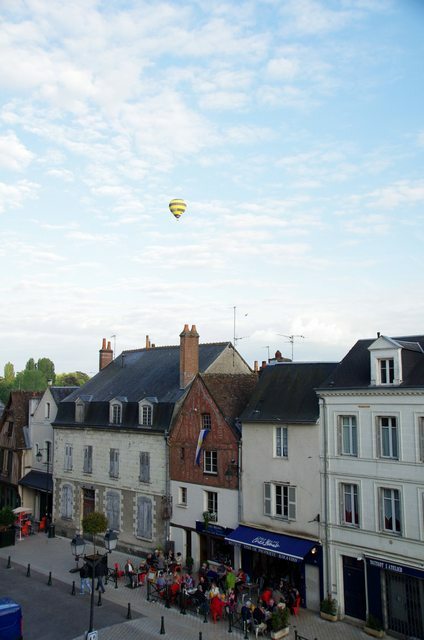 Hot air balloon rides are a common attraction in the Loire Valley; however, we read that the wind is unreliable and hot air balloon rides are frequently cancelled (and rarely refunded). We opted not to risk losing money, but it looks like we would have been okay. 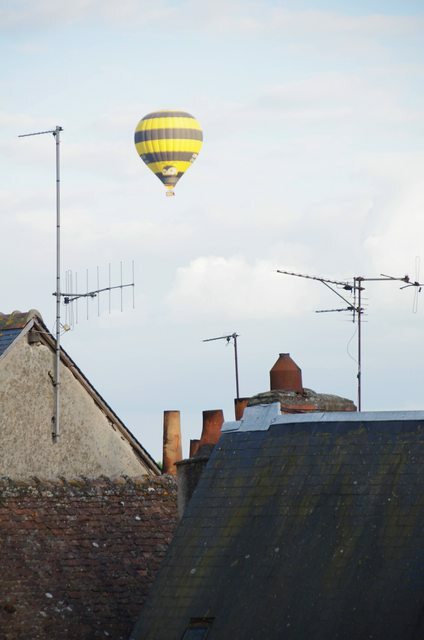 Regardless, it was fun to see such a cute hot air balloon floating over Amboise. 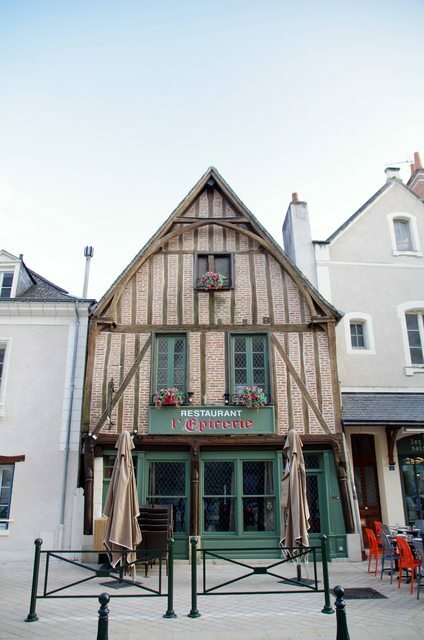 The restaurant below, L’Epicerie, was one of the highest rated restaurants in Amboise. We were disappointed that it wasn’t open while we were there. A cave home! 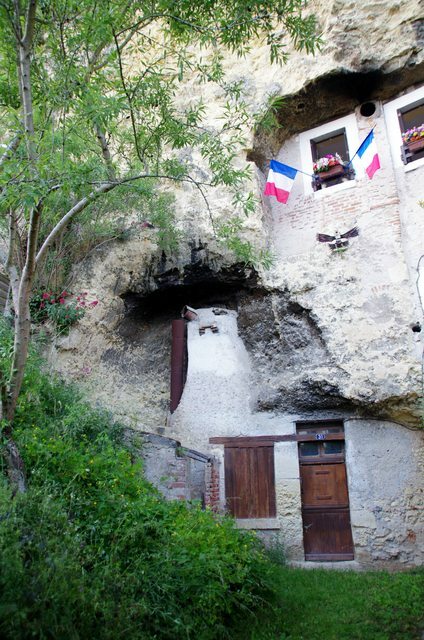 Troglodyte homes are fairly common in the Loire Valley. We came across this one while walking to Clos Lucé. When Bryan and I visit foreign countries, we tend to do a lot of walking. If our destination is within three miles or so of our starting point, we’ll choose to walk over taking public transportation because when you walk you get to see things (metros don’t tend to be all that scenic)…time spent walking is never wasted, it is invested. We thoroughly enjoyed walking around Paris during May. The weather was pleasant, everyone was happy, flowers were blooming in window-boxes, and signs of life were everywhere. I don’t really know the exact locations of most of these photographs, so this post won’t contain much writing. Even still, I wanted to share these pictures with you because the streets are what made me fall in love with Paris. Here’s a link to the Imgur photo album containing the images in this post.